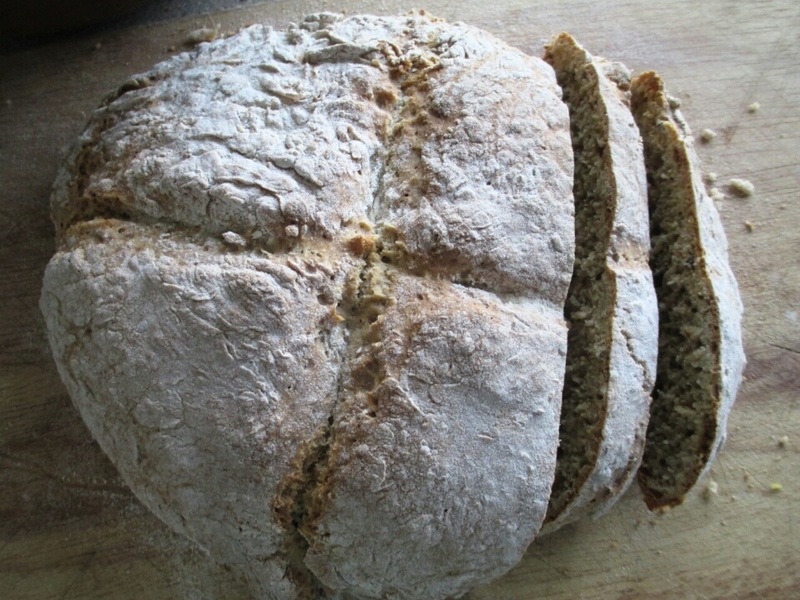 I have it on good authority that this recipe makes an authentic, awesome tasting Irish soda bread. It’s so quick to make, uses simple ingredients and is perfect served with soup, stews or even just toasted with some margarine and jam. I hope you enjoy it as much as we do! Mix the soya milk and apple cider vinegar in small bowl, set aside and leave to curdle for 5 minutes. Mix flours, salt and baking soda in a large bowl. 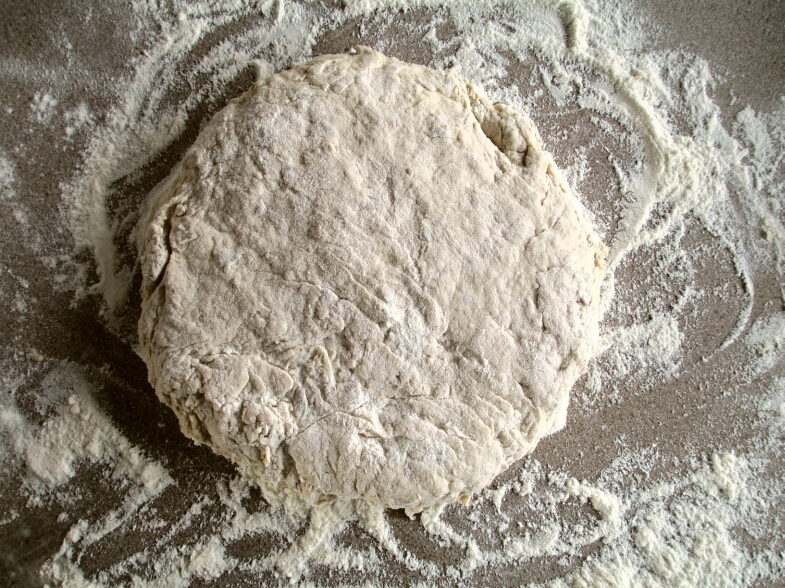 Make a well in the centre and pour in the soya milk mixture, then mix quickly with a fork to form a soft dough. When there are not loose bits of flour left, you will have quite a wet dough, turn it out onto a very floured surface, and knead lightly with floured hands a couple of times. 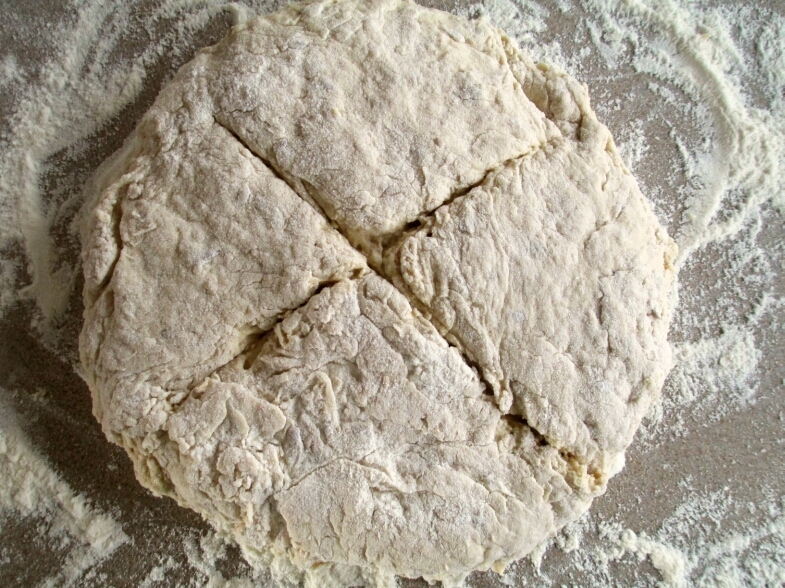 Form dough into a flat round, about 2-3 inches high, and cut a cross on the top. Place on floured baking sheet and bake for 30 minutes, until browned. Next PostA Little Is Enough!